The TIE lab supports schools through research partnerships, professional development support opportunities, and assistance in both strategic and informal planning. 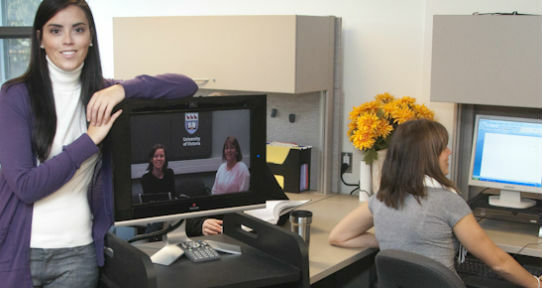 The TIE lab also collaborates with individuals through connected learning and networking them to appropriate people and resources that pertain to their inquiry. The TIE lab also provides undergraduate and graduate course offerings by both faculty and graduate students. The TIE lab supports corporations through partnerships that evaluate products and services and advise on research findings and directions for development. The co-directors represent two departments within the Faculty of Education at the University of Victoria. Dr. Irvine is an assistant professor in both the department of curriculum and instruction and the department of educational psychology and leadership studies. Dr. Hadwin holds an associate professor position in the department of educational psychology and leadership studies. Together their research interests range from topics like the implementation and evaluation of technologies in education and health sectors to the development of web-based learning programs to assist students in the process of self-regulated learning.